Okay, so we had more of a visit than an actual trip. But it was still a daunting task to host my little brother on a visit to my place. Not that we don’t get along well. We do! But we’re both the types of people who would rather play video games for six hours than spend six hours outside the house. That is, we are both introverts. It was bound to happen. We’re from a family with four children, so there was a good chance some of us would be extroverts and some would be introverts. At least neither of us aren’t the only introverts in the fam. That’s no picnic. But when we decided to hang out and go on our first brother-sister trip together, there were definitely a few stumbling blocks at first. We both know how to self-care as introverts. That’s lesson #1 when you first realize you’re more of an an Indoor Kid. 1. Let the introvert talk about their Important Stuff. Every introvert has their Important Stuff. It could be their book club, an RPG they play online, or a horror series whose next installment is coming to theaters in a few months. It’s something they love, and that allows them to connect to other (potentially introverted) people. For my little bro, it’s video games. He has pretty diverse taste. He’ll talk about Mario, Zelda, or anything he’s had the pleasure to play (or port online, which baffles me to no end) all day long. He can definitely talk about them for longer than I can. But that’s okay. I don’t have to have an opinion on everything he says. I just have to listen and ask questions whenever appropriate. It puts him at ease, and lets him know he’s respected. 2. Establish “no” as a worthy choice. He smiled. We didn’t go to the science museum, and instead went back home and played Shadow of the Colossus for five hours. It was a great day. 3. Invite the introvert along to stuff whenever possible. I try to take walks every day to stay healthy. I have a desk job, so it’s necessary. When my little bro was visiting, I invited him to come along. Ditto when I went to the store. Ditto when I was cooking breakfast. Ditto whenever I had to do laundry or wanted to watch Good Eats. Once you’ve established that it’s perfectly okay for an introvert to say no to activities, it’s important to give them activity options. Let them know exactly where they’re welcome to hang out. Which will be most places! But still, best to make sure that’s clear. 4. Give the introvert a job whenever possible. It was like I had unlocked a new section of this kid that I had never seen before. He was always looking down to see when we needed to turn or if there was something I needed to look out for up ahead. But it makes sense! Most introverts just want to be respected and recognized. The quickest way to achieve that feeling is to give them a job key to the journey. They’re empowered. They’re essential to the trip. It also lessens the fear that they’ll be hassled endlessly for going at their own pace. 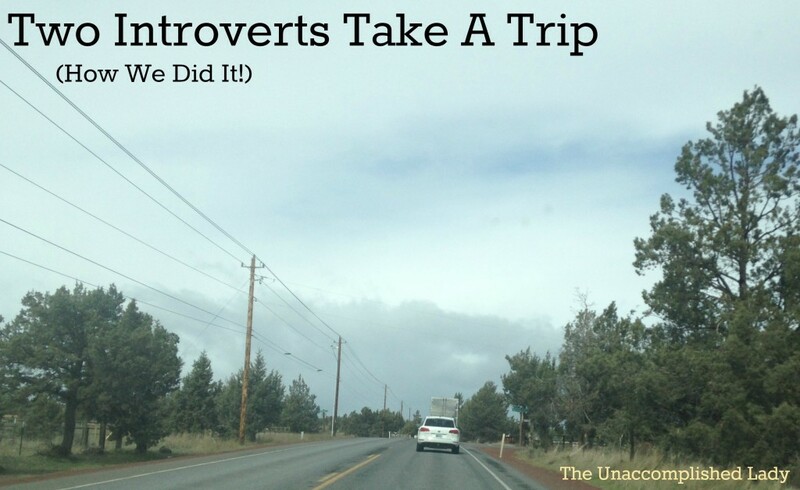 Bonus: It gives any other introverts in the room space to breathe. This alleviates you from having to entertain everyone the entire time. When an introvert whips out a book or a handheld gaming system when they’re sitting next to you, it’s not because they don’t want to talk to you. It just means they’re in need of some good Ella Enchanted/Batman/Majora’s Mask time. Don’t take it personally. Don’t say an offhand comment about them not wanting to talk to anyone. Just let it ride. They’ll come around. They’ll be happier for you not bugging them about it, too. Are you an introvert? If so, how do you travel in a way that’s good for you? Do you have anything to add to this list? Tell us in the comments!